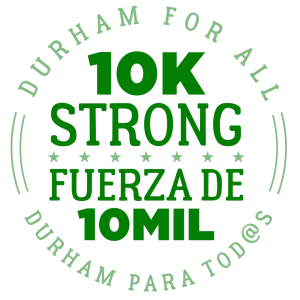 In 2017, we launched the 10K Strong campaign, our first major campaign towards building a multiracial, cross-class progressive movement in Durham. Through our base-building work, we deepened our organizing and leadership development in working-class communities and communities of color. We ended the campaign with Durham entering a new chapter in our history with the most progressive city council Durham has ever had! We developed and shared the 10K Strong pledge, a powerful statement of our vision for a city with homes, education, economy, sanctuary, and democracy for all. Through mass meetings and extensive neighborhood canvassing, more than 4,500 said “yes” in support of the 10K Strong principles. 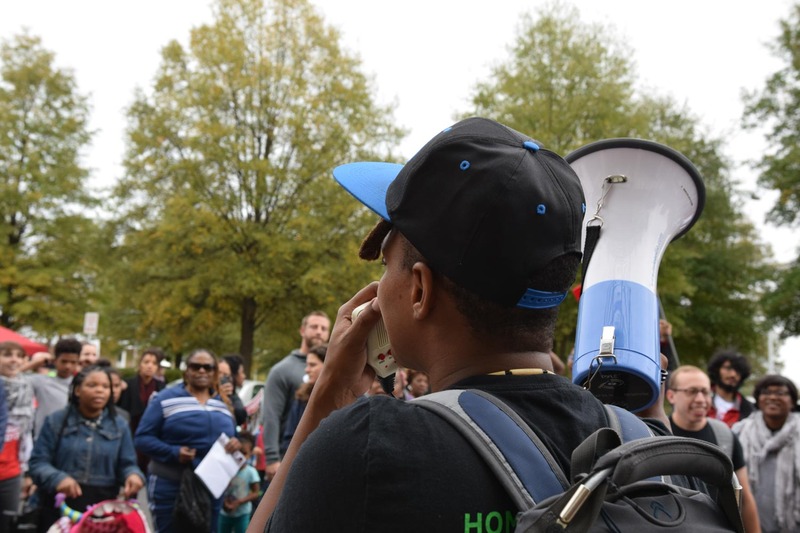 Through our voter engagement work with National Domestic Workers Alliance, Fight for $15, Durham Association of Educators, and refugee communities, we helped to nearly double voter turnout in the municipal election. With the Durham People’s Alliance, we trained over 40 potential progressive candidates for local and state office, two of whom won seats on the Durham City Council. We mobilized 100 people to attend monthly community dinners, 200 people to our monthly 10K Strong meetings, and over 800 people to two GOTV events. We put working class Black and Latina women and refugees at the center of our political engagement work and built solidarity across race, language, and culture by investing in political education, leadership development, and skills training for working-class people of color.